The Domiflex Classic Low-Low Bed, also has the High-Low Function, which greatly assists Carer’s , in assisting their clients. A Lifting Pole can be supplied with the Domiflex Classic Low-Low Bed. Price: Size 3Foot(90cm) x 6Foot 6 inches(2 metre) @ €1,895.00. The above prices are subject to VAT @ 23%. Patients benefit from the safety provided by a Special Low Bed. The height of the Domiflex Low-Low Classic can be Lowered All The Way Down to 21cm(8.25 inches), minimising the risk of injury to patients if they fall out of bed while they sleep, for example. A Roll-Down Mattress is recommended in conjunction with this bed. Selecting lying and resting positions that are particularly low means that it is not necessary to restrict patients who are prone to falling. The proven comfort of Domiflex beds also allows for a wide range of lying surface and care positions in conjunction with the low version as well. 180cm(5 foot.90 inches),190cm(6 foot.23 inches),200cm(6 foot 6inches),210cm(6 foot.90 inches),220cm(7 foot.25 inches). A Lifting Pole can also be supplied with the Domiflex Classic Low-Low Bed. Domiflex Classic Low Carers Bed. 3 Foot(90 cm) x 6Ft 6 inch(2 Metres) @ €1,895.00. If the Domiflex Classic Low Bed is No Longer Required after 12 months, Care to Comfort will Buy Back the Bed for €300.00. If the Domiflex Classic Low Bed is No Longer Required after 24 months, Care to Comfort will Buy Back the Bed for €200.00. If the Domiflex Classic Low Bed is No Longer Required after 36 months, Care to Comfort will Buy Back the Bed for €100.00. 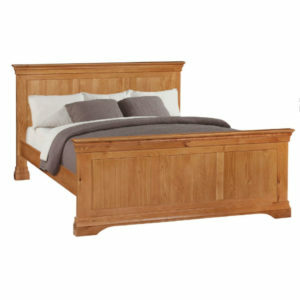 The above Buy-Back Scheme is subject to the bed being in good(& working) condition. Income Tax Relief applies to the Bock Classic Low Electric Adjustable Bed @ 20%. Which is an Income Tax relief of €379.00 on the €1,895.00 bed purchase price.